We have recently made the premium accounts on our DAM Vendor directory free of charge. All existing registered users have been upgraded. Those who have paid for a premium account subscription (which has not expired) should have been issued refunds or a copy of the 2016 vendor pricing survey as an alternative, depending on their preference (any premium user who has not received notification about this should contact us). The premium account includes some more in-depth information about vendor solutions and a shortlist facility as well as features to generate vendor profiles in MS Word format. An advanced guide on interpreting the vendor profiles is also separately available. To re-iterate, you do not need to do anything to get a premium account, you will have been upgraded automatically. Note: premium accounts are for end users only, all vendors are still treated identically, the premium accounts do not apply to them. Why have we done this? The are several different reasons. The majority of premium accounts subscribers were more interested in advice and information on what DAM software to select . The software to help filter all this was useful but only as a starting point. The second reason is that there are question marks over review sites like G2 Crowd and similar as a result of the business practices they use to obtain reviews and the opaque nature of their vendor scoring alogrithms. 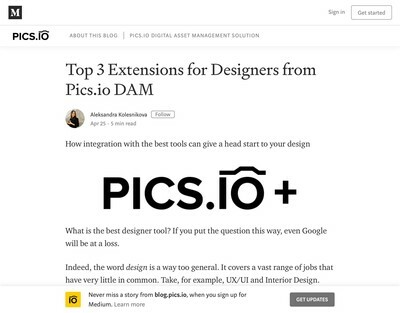 Choosing complex products like Content DAM systems mechanically is usually an ineffective method because there are too many variables to rationalise everything into a simple rating. It is valuable for end-users, however, to be able to know far more about specific products by going to a single place (and without having to request data sheets and pour over websites etc). Although the vendor directory was never intended to provide reviews, some articles that were written about it had misunderstood this point and we wanted to make sure we had distanced ourselves from the aforementioned sites. Making the service completely free (and still not charging vendors to increase their positioning in search results etc) seems like the fairest way to ensure the directory retains its integrity but still offers end users something of value. The final reason is more related to the direction the Content DAM industry is moving in. 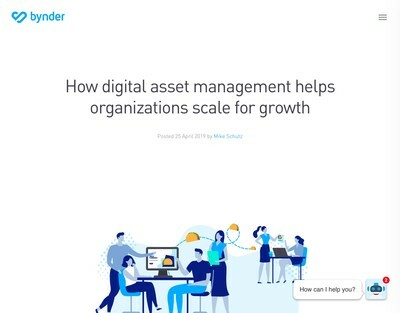 With the rapid growth of Digital Transformation and Digital Asset Supply Chain initiatives, an increasing number of our clients are looking for multi-vendor, service-oriented solutions where they can potentially combine services from different providers and use intermediaries (in-house or external) to integrate and manage them. 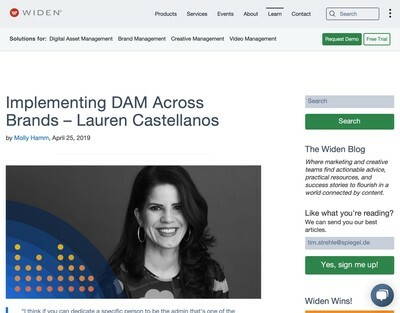 Vendor directories and review sites etc are likely to decline in their usefulness because they focus on choosing between single vendors and that is increasingly unrealistic for many enterprise DAM requirements. We are currently looking into developing alternatives that better reflect the multi-faceted needs of this growing segment of end-users. In the interim, we plan to keep the current vendor directory up and running as long as there is sufficient demand for legacy products that have yet to move over to a more flexible SOA or microservices architecture. Some announcements will be made later this year about our plans for a replacement. We intend to solicit opinions from a variety of people (including vendors) in addition to developing some open-source protocols that can be used as a basis for buying and selling Content DAM services. So ‘watch this space’, as the saying goes. 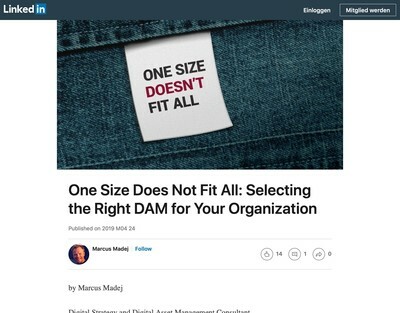 Hi Ralph, as an integrator of DAM platforms from multiple vendors I understand the complexity of choosing the right platform for the best user case and G2 Crowd and others don’t provide the necessary granularity or honesty in the information they provide. After registering for the directory I was surprised that a number of products have not been updated in this directory for some time and don’t reflect their current offering. What is the mechanism to keep the directory relevant? Are vendors expected to update their own details by submission or do you do regular requests for new information. Just like a DAM it needs to be kept current otherwise people won’t use it and I’d like to see it more widely known and used as a reference tool. There are options to prompt vendors to fill out information, but they’re not obliged to pay attention to them. This is a free service (and even when it wasn’t, the cost was very low). It isn’t economic to go and chase up around 100 vendors and badger them into keeping their profiles up to date on a continuous basis. One point I would note, however, is that since the default sort criteria is by ‘last modified’ those vendors who don’t regularly review their details will get seen far less than those who do. At some point, we might introduce some services to help keep this more accurate and up-to-date, but it’s moving away from being a directory and into reviews at that stage and we were always keen to avoid this facility turning into that (noting G2, Capterra etc as models not to follow).